I don't know if you have seen these beauties in the Occasions Mini, but there are some fabulous card kits. My mom had hip surgery so I knew I was going to be pressed for time so I bought these beautiful card kits and made them into Mother's Day cards to be sold at The Fine Grind. The black and white cards come from the Lots of Happy Card Kit. The second set of images come from the Perennial Birthday Project Kit. 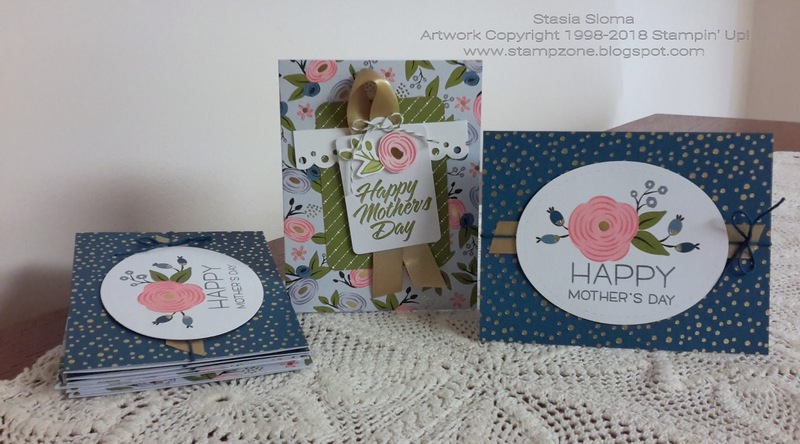 I made the cards my own by adding embellishments and turning this around a little. 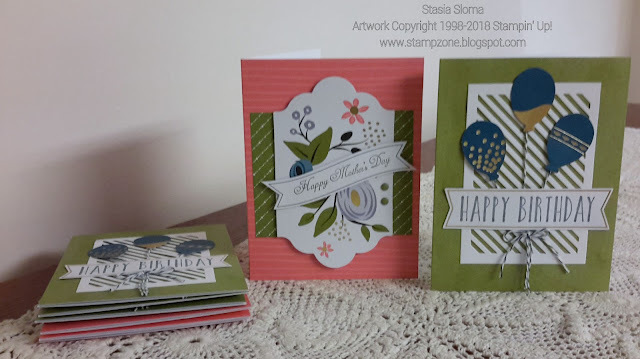 Since my end goal was Mother's Day cards, I stamped sentiments from Impression Obsession, Lawn Fawn's Happy and Stampin' Up! 's Something to Celebrate. The Lots of Happy Card kit makes 20 cards. I have a few more to make from that kit. The Perennial Birthday Project Kit makes 16 cards. Everything is in the kit to make the cards. 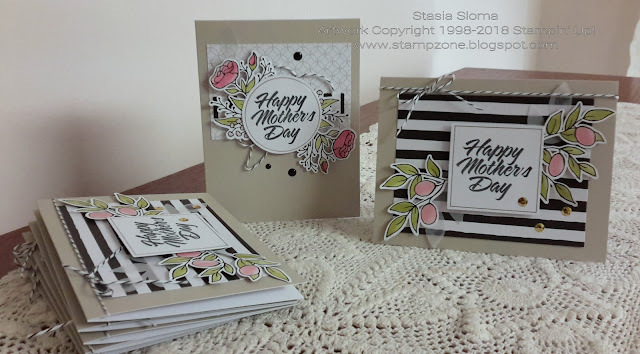 Just start stamping and assembling and in an afternoon you will have plenty of birthday cards on hand.